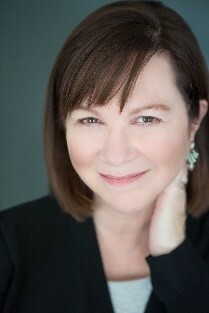 I’m so excited to be sharing an excerpt of In the Neighborhood of True a powerful story about doing what’s right. 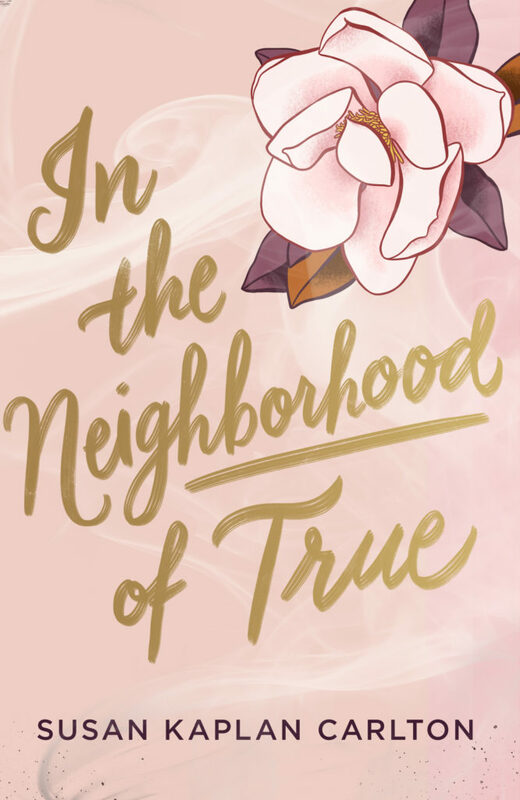 Find In the Neighborhood of True on Goodreads, Amazon, Indiebound & The Book Depository. When we’d first arrived here at the end of an airless sum­mer, Mother, who’d changed from Mom to Mother when we crossed the Mason-Dixon Line, told her parents, whom we’d always called Fontaine and Mr. Hank, that Nattie and I needed wall-to-wall carpet to cushion our landing. Maybe we needed cushioning after the shock of our father’s death, or maybe we needed cushioning after moving from our apart­ment in New York to our grandparents’ guesthouse behind the dogwoods. Either way, the next afternoon, two men turned up with a roll of white carpet and stapled it over every square inch of the place, save for the closets. On the drive downtown, Mother said, “You be your­ self up there, Ruthi e. It doesn’t have to get ugly.” Her short bangs curled down her forehead like a question mark. As we passed the putting greens on Northside, I watched the trees sway, thinking that winter was different- prettier­ in a place where the trees cared enough about their leaves to hold on to them year-round. And also thinking that prettiness had to be planned, that the sprinklers had to work hard to keep the perfect green lawn from turning back to plain red clay. We were twelve minutes late. Mother was often late, a leftover New York affectation, but today my dallying about dresses had held us up. For a half second, I paused in front of the large door with FULTON COUNTY SUPERIOR COURT etched in gold, then inhaled and turned the knob gently, hoping to avoid a clang. Mother dropped her smile, but then she touched her pearls and reassembled herself. I followed her lead, hand to my throat, where my own string of pearls-along with my stomach and other major organs-had taken up residence. The pastel posse was here after all. I tried to catch Gracie’s eye, but she was busy tugging her apricot twinset into place. Mother and I walked past Rabbi Selwick and his wife, both turned out in tweed, and I thought of him at our house with his daughter and her gift of peach preserves. Behind them were women in fur and men in pinstripes. The couples­ probably from the Club-looked like they were waiting for a tray of martinis to glide by. “Miss-” the judge said, looking down at a note card. “Miss Robb. No need to talk now.” He had gray hair and half-glasses, and he gave a half smile. And I thought: But that’s why I’m here. Because I couldn’t keep my mouth shut. And then he did-his true-blue eyes locked right on mine . I felt the heat slide up my cheeks. Davis, who taught me about the Uncivil War, and blowing perfecta smoke rings, and real honest-to-God French-kissing. Davis, who said he wanted us to get married the second we turned twenty-one. Do you know another YA book that has a court room scene in it?